The pairing with Danger Mouse aka Brian Burton is right out of the gate unique and liberating for Jones as a singer-songwriter. In fact the title track sounds like Chris Isaak meets 70’s Film Noir while the great opening track Good Morning lets you inside the soul of Jones air brushed vocal warmth. Elsewhere, Take It Back uses a spare piano line and vibrato guitar lick that tingles and pulls you in. Happy Pills, the single has a Cars-esque vibe and quirky but catchy harmony chorus “Please Just Let Me Go Now” that will kill at radio. This will be a very interesting 2012 tour for Jones in support of such inspired songwriting. You can’t manufacture a band this good. This is a group bound by musicality for music sake, and Live Over Europe amply displays this. It should be noted this show is now also available as a 2 cd effort and download. Hence the review for this spring. The band’s output, 2 studio cd’s and this blu-ray/dvd/live cd show the group in steady growth. 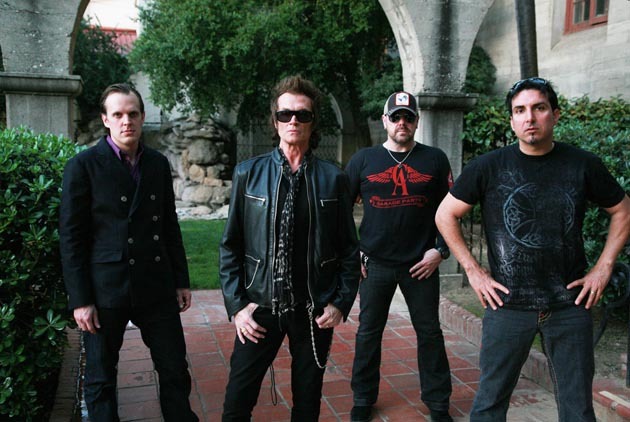 As bassist/chief songwriter and vocalist Glenn Hughes has stated with each member having solo careers this band is very busy and each member would love to find time to have the band settle in. Well folks, when you watch the band ride the groove of songs like The Outsider, One Last Soul, and I Can See Your Spirit (with it’s cool brief interplay nod to Led Zep) you know the band is coming from a natural place. Of course, the band is rehearsed, but members are clearly encouraged to react to each other and the dynamics of what is going down. Even though the band’s sound is classic hard rock they are not bound to that concept. Songs like The Battle For Hadrians Wall, and Song For Yesterday with a blistering solo by guitarist Joe Bonamassa as well as Hughes superb vocal on The Great Divide show BCC to be multi-dimensional. It’s a treat to hear Sherinian’s keys and Bonham’s drum work add glue and dynamics to songs like Faithless, Cold and the muscle of Crossfire. Hughes’s feel for the stage and the audience is fired by his integrity and his chops. His front man work is a joy to watch. Joe Bonamassa’s guitar work is melodic, confident, fiery, and above all uniquely eclectic. Bonamassa seems to be not only a role model for young players but a guitarist/songwriter who’s talent is just beginning to be tapped if that is possible when you watch or listen to his gift. On this concert blu-ray BCC are clearly a group of musicians bound by musicality and integrity. Sound, both on the cd and the blu-ray is tight but not glossy. Producer/mixer Kevin Shirley lets you “feel’ the band as opposed to trying to overpower you with a huge surround mix. 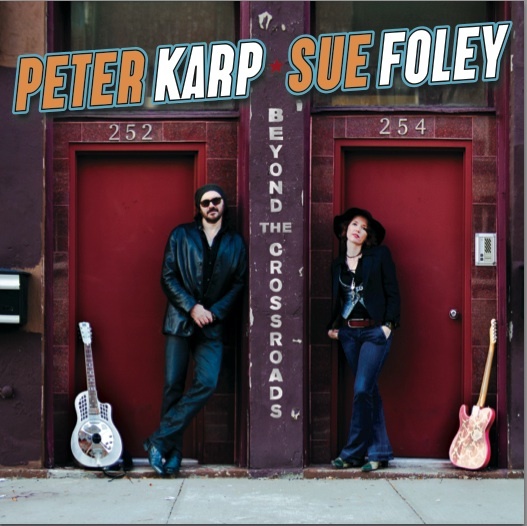 Peter Karp and Sue Foley’s mix of great songs and vocal interplay on Beyond The Crossroads mixes Muscle Shoals-esque vibes and distinctive warm tube blues and roots. In fact, songs like the high stepping gospel of the title track, the horn infused opening Were Gonna Make It and the rich minimalist groove of Fine Love are the kind of soulful songs that would always make the top twenty of The Billboard charts in the early seventies. And that my friends that is what is wrong with mainstream radio. Luckily we now have radio and hosts who make this type of music available. Elsewhere there is a modern day June Carter/Johnny Cash vibe via the blues/roots train that oozes out of Take Your Time and More Than I Bargained For. That is smart songwriting folks. Other standout tracks like Karp’s fabulous Blowin’ and the Motown piano jump to Foley’s Resistance are simply easy to digest on repeated listens. In addition You’ve Got A Problem comes out of the Billy Swan I Can Help school and works wonders. It also should be noted there is a winning combination of natural musicianship from the studio players that supports without getting in the way. Lovely recording top to bottom.